Looking for the best rebate websites? Do you want to get paid to shop online? You will LOVE these trusted cashback sites that will pay you to shop online and more. If you are someone that does online shopping, then you need to find a great cashback site right now. There is absolutely no reason why you should not use a rebate site. Cashback programs allow you to earn and save money. Why rebate websites pay you? It’s affiliate marketing my friend, Instead of shopping directly from Amazon or Ebay just do the same through a rebate site’s affiliate link. They earn a commission that they are willing to share with you. 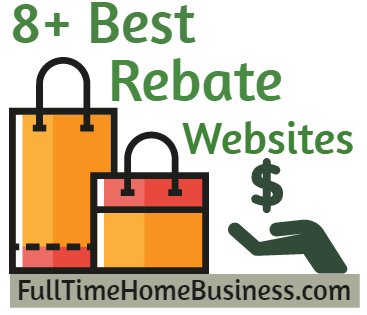 In this post I’m going to share with you the best rebate websites on the internet. I will also show you how to find the ”PERFECT” rebate site easily. With these rebate sites, you can get paid for your groceries and online shopping. I hope you enjoy this list of cashback sites. TopCashBack is one of the most popular cashback sites out there. It’s partnered with over 3,500 stores. This site offers and guarantees the highest cashback rates. What I like about Topcashback is the fact they have no minimum payout requirement. You can cash out whenever you want through Paypal, direct deposit, gift cards. The only drawback they don’t offer a sign-up bonus like most rebate sites. They have a referral program, so you earn $10 for every friend you refer. So you save and earn some extra cash as well. Ibotta is a smartphone app that allows you to earn cash back easily. If you want to earn cashback from basic things like vegetables, milk and everyday items, then Ibotta is the best choice. You can easily save $30 every week by simply installing this awesome app on your phone. If you want to discover the power of this app, read my Ibotta review and watch the video that shows you how easy it is to save with Ibotta. Ibotta has a great referral program; you earn $5 for every person you refer plus bonuses. If you don’t own a smartphone, you will find rebate sites like Ibotta in this list that you can use from your computer. They also give you a free $10 sign up bonus. Ebates is the oldest cashback site out there it’s been around since 1998. Ebates is connected with over 2,000 stores you can earn up to 25% of cashback. Another great feature they have is the possibility to earn cash back even when you shop offline. Refer your friends and earn $5 per person. You won’t find many cash back sites like Ebates. Read my Ebates review to learn how to maximize your earnings and more. Befrugal started in 2009, but many people love it. It’s affiliated with over 5,000 stores. You earn $15 for every person you refer that’s why I prefer it over some other cashback sites. Another great thing about Befrugal is they have many tools that will help you save money on your cars and traveling savings. Read my full Befrugal review with pros and cons and other important information. ShopatHome used to be great, now is good. They had so many great features like the 110% cash back guarantee and the referral program. But it’s still a good cash back site where you get paid for your groceries and online shopping. They offer high cash back rates and that’s good. The lack of a referral program is what I don’t like about this site. Mr. Rebates is another old cashback site since 2002. They offer high cashback rates, and they have different payout methods. They also have a good referral program you earn 20% of whatever your referrals earn for life. You can read my full Mr. Rebates review to learn more; you will also find a quick cashback sites comparison. Swagbucks is not a 100% cashback site; it’s a GPT (get paid to) site where you can earn some extra money, watching videos, taking offers, listening to music and more. It’s a great reward site. They are connected with over 3,000 stores. They have a Swagbutton browser extension like most other cashback sites which allows you to earn cash back even if you shop directly from your favorite stores. If you want to earn some extra cash doing a lot of things and also to earn rebates, then you want to check out Swagbucks. Read my Swagbucks review to learn more. This is another awesome cash back site that is connected with 4,000 stores. The rebate rates are not the best out there but as the name suggests you can find a lot of coupons and discounts on the site. Shop like you normally do, add coupons and get that cash back. Payments are made via Paypal and check. You need to register and like their Facebook page to earn a $3 sign up bonus. I don’t like Coupon Cactus because of their low cashback rates and lack of a referral program. Don’t know which rebate website is good for you? In my world, a perfect rebate site is the one that pays the highest rebate rates on the products that I’m actually interested in. You should know that all those cashback sites don’t give you cash back on every product you buy but only in a few categories. But you can use some services that will show you which cashback site is good for you. Cashbackholic and Cashback monitor are two great tools that will show you exactly which rebate websites offer the highest rates on your favorite products. All you have to do is enter your favorite store or product on their search box then they will show you your product with a list of rebate sites that offer the highest cash back rate on it. Another tip, make sure you use more than one rebate site. I hope you have enjoyed this rebate websites list, if you did make sure you share it with your friends and family. My#1 Recommendation to Work From Home and Earn a full-time income. Have you tried any of these rebate websites? Did any of these cash back sites disappoint you? Any thoughts, feedback or comments are very welcome. You are welcome Grace! 🙂 Thanks for visiting. 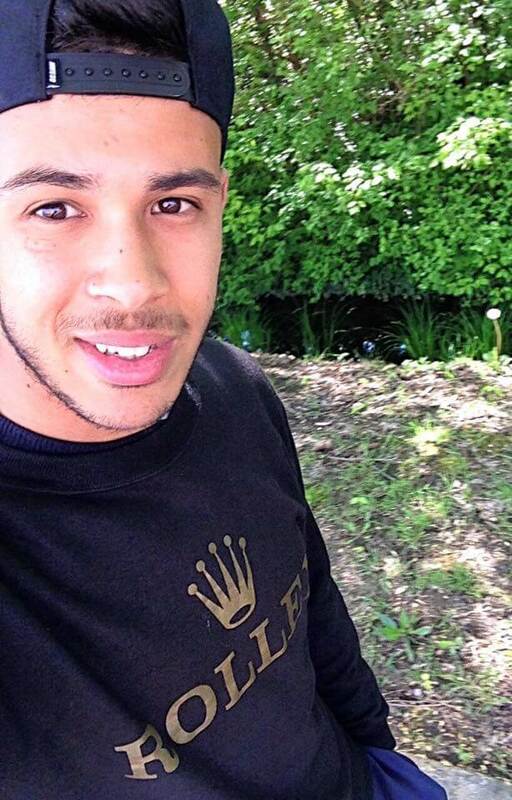 Hi Anis, I love it! It’s great that you shared more than one rebate website since they don’t offer cashback on all products. We all like to save money and these are a great way to save extra cash. It’s interesting that they don’t all have referral programs. Why do you think this would be? I mean if most are doing it then why wouldn’t they all do it? Does ShopAtHome offer something better than the others, is this why they don’t have a referral program? It just goes to show, if you shop around you can save money online quite easily. As usual, your posts are always very excellent and extremely helpful. I absolutely love your title. Who wouldn’t want to read a post with that title? So cool. Apart from EBates, I’ve honestly never heard of any of those other sites. Do they work for people of all countries or just for the main ones such as USA and Canada? I guess it all depends on whether there are merchants in those countries to start with. Isn’t that correct? Also, how do they typically pay? Paypal or checks? Hi, Kevon I’m so happy to hear that you like my stuff! You’re correct it depends on the merchant in those countries, most of these countries allow international members, Only Ibotta I think that only accepts USA residents. Most of them pay you via Paypal, check and Gift cards. I’m glad I found this – I had no idea these sites would rebate you on so many purchases! We buy a lot online these day, and getting some of that spend back would be nice. Which sites doe you find you use the most? Hi Anis, is this in order of best to last, like 1-8? But if you had to choose one to spend time on, what would be your #1 choice? Hi, Peter this is not in order of the best to the worst, they are all awesome, maybe one is better than the other, but they are all good. I love Ibotta and Ebates, you can use Cashback monitor or cashbackholic to find the perfect one!